The Linkstar RDH-600 ring flash unit offers you the possibility of photographing on any desired location. By photographing with a ring flash unit you prevent unwanted shadows in your photograph. The spreading of the ring flash unit provides a smooth lighting. The ring flash unit has a diameter of 190mm and can be used with any lens up to 95mm. 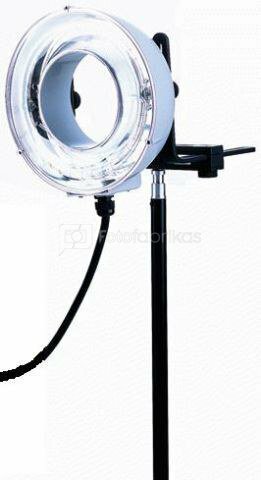 The ring flash unit comes with a sturdy bag. Let op: de RDH-600 Ring Flash can only be used in combination with the DP-600BP Powerpack.